Gary Alabaster began playing lacrosse at John F. Kennedy High School (Plainview, Long Island, New York). He played at San Diego State University and was selected to the Southern California Western Collegiate Lacrosse League All Star team. After graduating in 1978, he played post-college lacrosse with the Northern California Lacrosse Association (NCLA) Golden Gate Lacrosse Club. Alabaster began officiating at the same time and has spent the past 30 years officiating high school, college and post-college club games and championships. He was also an official with the Major Lacrosse League (MLL), the professional outdoor lacrosse league. He has been the head referee and assignor of officials for the NCLA and was awarded the President’s Cup for his work. He has served as an assistant assignor for Western Collegiate Lacrosse League (WCLL). He served as the District 10 representative to the US Lacrosse Men’s Division Officials Council from 2002 – 2007. Chapter of US Lacrosse. 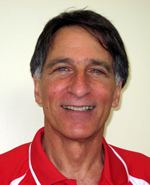 He also is currently one of two Vice Chairs on the US Lacrosse College Officials Committee (COC). He is one of the leaders of the Northern California Lacrosse Referee’s Association. He was inducted into the San Diego State University Lacrosse Hall of Fame in 1991. Alabaster is an attorney with the Spiro Law Firm in San Francisco. He lives in Alameda with his wife Diane and their two cats. Steve Alms was introduced to lacrosse as a freshman at Cornell University, where he started on defense in 1972 after lettering on the 1971 NCAA Championship team (the first NCAA tournament) and the undefeated 1970 Ivy League Championship squad. He was a perennial all-star on defense during his 8-year NCLA career with the San Francisco Lacrosse Club, spanning the 1976-1983 seasons. In the mid 1980’s, Steve was a founding member of the organization that has evolved into the NorCal Chapter of US Lacrosse, and continues to sit on the Chapter Board. He co-founded the Coyotes Lacrosse Club on the San Francisco Peninsula, and coaches at the youth level. The Coyotes entered the NCJLA with a single team in 2003, and have grown dramatically, annually providing about 225 boys and girls the opportunity to learn the skills and traditions of the game. Steve was instrumental in the 2007 entry of both Burlingame High School (public) and Junipero Serra High School (private) into the Central Coast Section of the CIF, and revels in the continued explosive growth of the sport. A 1973 graduate of Princeton High School, Heidi Faith was a four-year-letter winner in lacrosse and field hockey. Playing 3rd Home and Center for PHS' lacrosse team and center forward for the field hockey, she led both teams in most goals and assists. She was lacrosse co-captain in 1973 and field hockey co-captain in 1972. Heidi competed collegiately at Rutgers University. She led the Varsity Lacrosse and Field Hockey teams in scoring and assists all four years and was named Most Valuable Player in both sports. She served as lacrosse captain in 1974 and 1977; field hockey co-captain in 1976. Heidi, a member of the New Jersey Women’s Lacrosse First team and Central District First team from 1976-1985, competed every year at the United States Women’s Lacrosse Association (USWLA) National Tournament. She was co-director of the 1979 USWLA National Tournament held in Lawrenceville, NJ. She served as President of New Jersey Women’s Lacrosse Association (NJWLA) from 1979-1985. In addition to her lacrosse endeavors, Heidi was selected to the USA Field Hockey National team in 1980 and the USA Field Hockey Elite squad in 1981. She was a bronze medalist at the 1981 US Olympic Sports Festival. After moving to California, Heidi, as Head Coach at Stanford University (1986-92), guided her squad to a 72-12 record and 3 Western States Division l Championship titles. She co-founded the Western States Tournament in 1987 and was instrumental in the development of the Western Women’s Lacrosse League (WWLL). She coached the California All-College team to a 7-1 record at the 1991 US Lacrosse National Tournament. From 1986-1992 she captained the South Bay Club Lacrosse team and was named MVP at the 1991 Western States Lacrosse Tournament. She also served as President of Northern California Women’s Lacrosse Association (NCWLA). 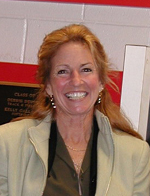 Heidi was inducted into the Rutgers Olympic Sports Hall of Fame in 2003; in 2007 she was inducted into both the New Jersey Lacrosse Hall of Fame and the Princeton High School Hall of Fame. Heidi currently serves as President and Communications Chair of the Northern California Chapter of US Lacrosse and on the US Lacrosse Board Development Committee. She resides in Mountain View, CA, where she owns and operates Phoenix Designs, a web development and visual communications company. She still competes in field hockey and lacrosse. Herb Finger excelled as a player, as an official, and as a promoter and administrator of the game. He began his lacrosse career at that lacrosse powerhouse, Massachusetts Institute of Technology (MIT). As a three-year starter, Herb anchored MIT’s defense as it competed against other New England teams, including Amherst and UMass. After graduation, Herb was an assistant coach at MIT for 2 years. In the Fall of 1970, Herb moved to the San Francisco Bay Area. In January 1971, Herb walked onto a Palo Alto Lacrosse Club practice and began a 13-year post collegiate all-star career with PALC. During this time, Herb was awarded the Ira Silver Defense Award given to the top defenseman in the Northern California Lacrosse Association (NCLA). Off the field, Herb took an active role in promoting lacrosse in the Bay Area. Herb was elected Treasurer of the NCLA and in 1974, was elected President. He continued to ensure lacrosse’s growth as President of the Palo Alto Team and as an occasional referee. After his 13th year as a player, in 1983, Herb began his next lacrosse career as a referee. As the game expanded from club to collegiate and high school, Herb continued to grow as a top tier official. In 1990, the Lacrosse Foundation began oversight of all lacrosse programs in Northern California. Herb was a charter member of the NORCAL Lacrosse Foundation and became its Communication Vice President. Herb served in that position for several years and in 1994, was elected to his current position as NORCAL Lacrosse Treasurer. As Treasurer, Herb has seen the Chapter incorporate as a 501(c)(3) tax-exempt organization, taken over responsibility for the Pete Falkner endowment, and established the highly successful Northern California Coaches Lacrosse Convention. Today, Herb remains the NORCAL “Money Man”, and continues to wear official’s stripes on the field. 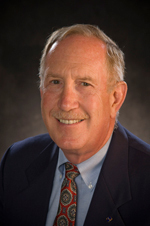 Herb has worked at the NASA Ames Research Center since 1970 as an engineer and a manager. He lives in San Jose with, his wife of 36 years, Ilene, a flutist with the San Jose Wind Symphony. They have two adult children and a granddaughter. Randy and his wife, Dana, live in Elk Gove, CA, where Randy works for Apple Computer. Lisa lives in San Jose and will be going off to Physician Assistant’s School this summer. Herb and Ilene enjoy playing golf together between his referee assignments. Diane Whipple was a multi-sport athlete who was a member of the 1985 New York state high school championship Manhasset lacrosse club on which she earned All-American honors. Upon her graduation, Diane went to Penn State on a lacrosse scholarship. It was there, too, that she was an outstanding player, leading her team to national titles in 1987 and again in 1989. Her senior year, she was named the Top Female Athlete for Penn State and the NCAA female Athlete of the Year. Diane was the youngest player invited to play on the US Women's Squad of the United States Women's Lacrosse Association, where she was part of international competition. Diane decided to go to California to pursue her dream of competing at the highest levels in track. While pursuing that personal goal, she never gave up her passion for lacrosse. She continued to play lacrosse for post collegiate teams representing the Bay area for many years at the USL National Tournament, Vail and California based tournaments as well. She was instrumental in bringing lacrosse to California, as a high school coach at the Menlo School, at UC San Diego as a college club program and finally as a Division 1 college coach at St. Mary’s College. Diane is remembered by who played with and against her not only for her speed and competitive nature but for her true passion for the game. Her positive energy was an inspiration for all whom she coached and played. Peter Worstell grew up in the hot bed of lacrosse, playing for Garden City High School, NY. He was a two time All American and is a member of both the Garden City H.S. Hall of Fame and the Long Island Metropolitan Hall of Fame. At the University of Maryland (’81), Peter was a USILA four time All-American and four time All ACC. He is the only player in Maryland history to be an All American at two positions; midfield and attack. In 2002, Peter was voted one of the “50 Best Lacrosse Players Ever in the ACC”. 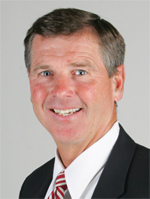 While at Maryland, he won several prestigious University of Maryland athletic awards and in 1978 he was selected as an alternate to the 1978 USA Men’s National Team. Peter went onto play post-collegiate lacrosse for California Team Dole, the St. Louis Lacrosse Club and the Cincinnati Lacrosse Club. He began coaching at Moeller H.S. in Cincinnati and was the Assistant Coach when they won the 1994 State Championship. Peter helped develop the Scorpion Youth Lacrosse Club and initially coached the high school team and then in 2002 became the first coach of the second/third grade team. His team went on to be league champs for the next seven years. Peter was the Nor Cal U-13 Head Coach in 2007 and the Nor Cal U-15 Head Coach in 2008. He was also the 2006 Head Coach for the USA West U-19 team which traveled to England, Scotland and Wales. In 2001, Peter helped implement lacrosse into the three local high schools, San Ramon Valley, Monte Vista and California H.S. In 2002, he became the head coach at San Ramon Valley H.S. and won the 2008 NCS Championship. 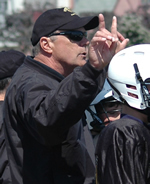 Peter was named the 2005 EBAL Coach of the Year and the 2008 US Lacrosse Northern California, Coach of the Year. He was an invited speaker at the 2006 US Lacrosse National Coaches Convention and in 2003, he created and marketed his “Basic Wall Work” video. Peter is the founder and director of both the “Be the Best” lacrosse camp and the “California Gold Recruiting Invitational”. Peter is Vice President of Sales for Jockey International and lives in Danville with his wife, Helen. They have two children, Jennifer and Patrick.